Time-Attendance system has evolved greatly over the years. Organizations started with manual methods of maintaining attendance data of their employees. Recording attendance details in registers manually was one of the most common Time-Attendance keeping methods used by organizations. However, as with any manual process, such attendance records were prone to being erroneous. Erroneous attendance data records leads to erroneous payment of salary. As a result, manual time keeping leads to lot of ruckus when it comes to accurate and error free attendance records. Over time the system for recording attendance data of employees has changed and developed to great lengths. From simple methods like entering entry and exit timings into a register, the attendance system evolved to time clocks and time cards. For a while the time clocks and time cards served well for the employees, as these were upgraded methods; better than the manual entering of attendance data. However, inconsistencies and inaccuracies weren’t far behind with these methods as well. 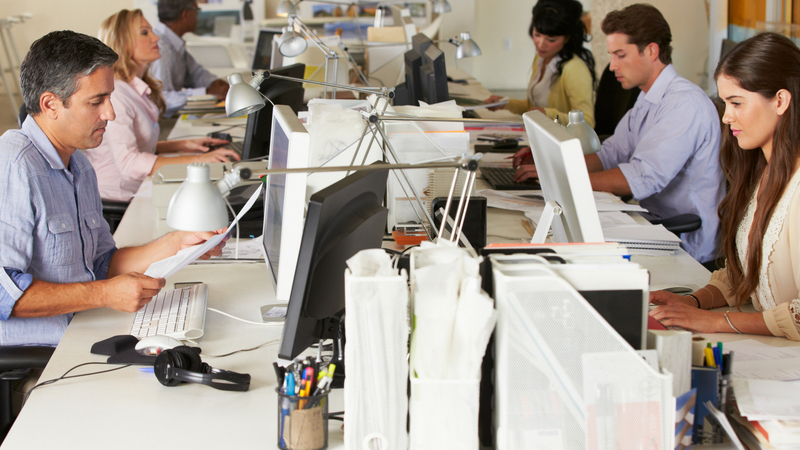 Many issues faced by employers related to employee attendance still continued. Eventually, with the development of technology, came into picture biometric methods of recording attendance of employees. This method has, since its introduction, only been upgraded and proven highly efficient and accurate method of collecting attendance data. However, let us work through the reasons in detail that led to development of biometric methods for attendance marking. Manual attendance systems left the attendance data open to manipulation. Employees many a times tampered with their attendance records in order to cover up for their loss hours. Alternatively, HR personnel often entered false attendance data into the payroll software. Such mistakes may go unnoticed, but it indirectly affected the cost to company and resulted in incorrect pay to employees. Moreover, the task of manually collecting attendance of every employee itself was a time consuming process for the HR personnel. Hence, humane errors became one of the major reasons for the development of biometric attendance systems. Time sheets and punch cards were easy to pass items. With such easy methods of marking attendance in place, employees often resorted to malpractices such as time theft and buddy punching. As a matter of fact, buddy punching became one of the major issues faced by organizations with respect to attendance. Employees could easily mark attendance for their friends and colleagues using their punch cards or time sheets when marking their own attendance. Introduction of automated and biometric based attendance management software was a major help in overcoming the issue of buddy punching. One of the other major reasons for the growth of biometric attendance systems lies in the inefficiency of time sheets and time clocks. As mentioned above, these methods are highly prone to errors which may cost the business or organization enormous amount of time and money. Moreover, with rapid growth of business environment across the globe, employee count has also increased to a great extent. Hence, managing attendance details of a small number of employees through manual methods was still plausible. However, managing attendance details and accurate payroll processing of a large number of employees became difficult. It only results in inaccuracy. As we can see, several reasons played a role in the development of biometric technology. Biometrics is unique to each individual, which is why they make an accurate method of collecting attendance data. Since every individual has a unique biometric, the problem of buddy punching gets automatically eliminated. Furthermore, implementing biometric attendance methods makes it smooth and easy for HR personnel while processing payroll of the employees. As the processing of attendance data and payroll processing becomes smooth, productivity of HR department increases and improves a great deal. Another major advantage that modern day biometric attendance systems provide is the employee management software. This software allows employees to check their attendance or leave details on the web based portal available. Along with attendance and leave details, employees can also apply for leaves or tours and check the status of their application as well. Hence, the software makes conducting many daily activities quite easy for the employees. Moreover, even the managerial authorities can benefit from this software. They can easily check the attendance/leave/tour details and applications of their employees over the portal. Furthermore, they can accept or reject the applications over the portal itself, making it easier for both. To conclude, the growth of biometric attendance systems was gradual and much appreciated. This system was developed keeping in mind every problem that organizations faced with respect to time-attendance details of their employees. Hence, these Time-Attendance Systems have proved very helpful and effective for organizations in overcoming the attendance related issues. 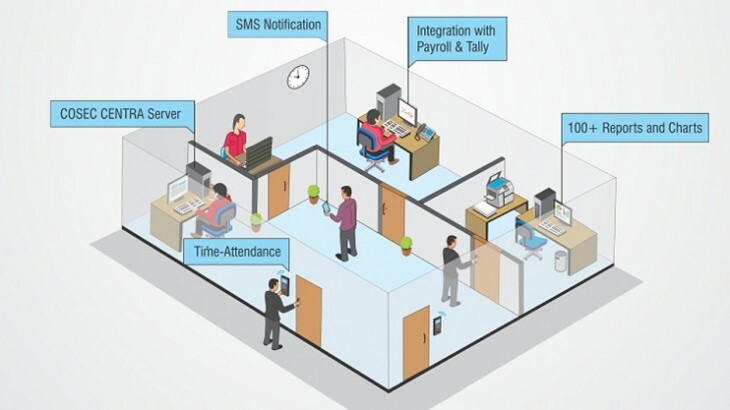 Access Control, Matrix COSEC, Time-Attendance attendance management software, employee management software, employee time and attendance system, time attendance management, Time Attendance System. permalink.